Google AdSense is arguably one of the most popular ways to monetize a website. Google AdSense on your WordPress website allows you to display video, image or text advertisements on your website. Whenever a visitor views or clicks on these ads on your website, you will be paid. While there are a number of such ad networks available today, it doesn’t make sense signing up for multiple networks. If you sign up for many networks, you’ll bombard your site with advertisements and make it unnecessarily cluttered and messy. Rather, it makes much more sense to stick with the best ad network, which is Google AdSense. If you already have a WordPress website up and running, you should set up Google AdSense on your site immediately. Thankfully, setting up Google AdSense on WordPress websites is extremely simple and straightforward. Today, I will offer you a step by step guide to setting up Google AdSense on your WordPress website. I’ll show you everything you need to start earning passive income, so make sure to read through until the end! Before you can setup AdSense on your website, you’ll need to sign-up for a free account with Google AdSense. This is a simple process, where you can sign-up with any email id. While Google allowed creating multiple AdSense accounts in the past, now it is limited to just one. The process of signing up for AdSense includes email verification. You will also be asked to answer a few questions about your website during the process. When you’re done, you will be redirected to your AdSense dashboard. Once you’ve signed up and created your AdSense account, you can access your AdSense dashboard. Your dashboard includes everything that you need to create and manage advertisements on your website. I recommend you to take a look at all the tabs under the dashboard to get a better understanding of AdSense. Thankfully, Google has greatly improved the interface of the AdSense dashboard, so everything is intuitive and easy to understand. Within the AdSense dashboard, you’ll see tabs for creating and managing ads, performance reports, optimization settings, general settings and help and support. I recommend you to explore each tab to understand what you can do with AdSense. When you click on a tab, a new page will open up where everything is laid out in easy to understand terms. Google also offers help and support options within each tab, as it does in the main dashboard section. You can always lookup help and support in case you need to find out anything more about AdSense. I won’t go into much detail here as Google has done a pretty good job in laying out the AdSense dashboard. 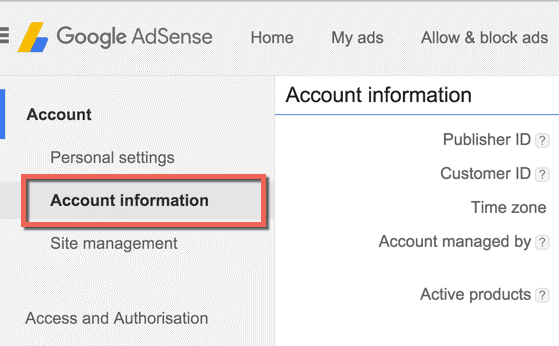 After signing up for an AdSense account, the very first thing you should do is to verify your AdSense account settings. You can do this from within your AdSense dashboard itself. Head over to the Settings tab in your dashboard and click on Personal Settings, where you will be asked to verify your details and your mailing address. Google will send a PIN to your mailing address within two weeks after you verify your details. By using this PIN, you can verify and activate your AdSense account to start receiving money. Don’t worry if you think that waiting for verification will mean a loss of income. 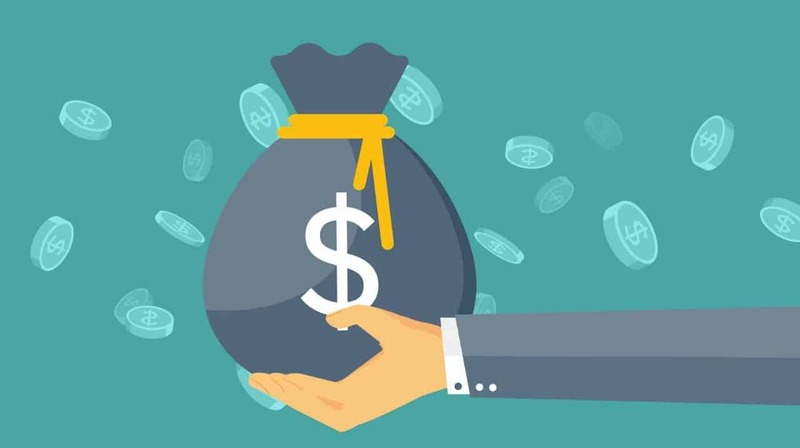 Google will automatically hold your AdSense revenue and release it once your PIN is verified. Other account settings should also be verified including your account information and payments. You can find these tabs under the main Settings tab in your AdSense dashboard. Once you have verified all settings, you can go ahead and create advertisements for your website using AdSense. Once you’ve created and verified your AdSense account, you can create and manage advertisements from your AdSense dashboard. To do this, head to the My Ads tab where you can create a new ad unit. Text and display ads: Allows you to display advertisements anywhere on a webpage. You can choose the style, the placement and the size of the advertisement. In-feed ads Allow you to display advertisements that flow naturally within a list of products or articles on a webpage. Such ads are normally displayed in lists which you may create on your website. In-article ads Allow you to display advertisements that seamlessly fit in between paragraphs on a webpage. This creates an enhanced reading experience for users, while you also get to display relevant ads. While you can create any of these three types of advertisements, you cannot control what ads will be displayed. This is completely determined by Google, based on the browsing habits of your visitors. Also, I recommend you to stick with Text and Display ads and In-article ads and avoid In-feed ads as far as possible. I’ll go into this in a little more detail later on. Text and display ads are by far the most popular type of AdSense advertisements. These ads can easily be inserted as a widget on a webpage. To create such ads, simply click on the Text and Display ads in your dashboard under Ad Units. This will open up a page where you can name the ad and select the size, type and style of the ad. While there are some different ad size configurations, I recommend you to stick with the responsive layout. Responsive ads will automatically adjust themselves to offer an optimal viewing experience, regardless of whether your website is being viewed on mobile or desktops. You can also customize the style of the text and display ads as well as group custom ad channels together. However, these are fairly advanced settings, and you’ll do just fine without diving too deep into them. When you have completed selecting the settings for your text and display ad, click on Save and Get Code. Copy the code that AdSense creates for you and insert it into a text widget of WordPress dashboard. Remember to paste the code in the Text tab under WordPress widgets and not the Visual tab which opens right next to it. 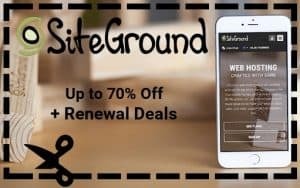 This will create and display the ad on your website. Don’t worry if your ad doesn’t show up immediately; it will do so soon. Personally, I don’t recommend creating In-Feed ads for your website, especially if you’re new to AdSense. This is because In-feed ads can create some confusion and trick people on your website into clicking on an ad. In-feed ads will be displayed on your list of blog posts or products. People may mistakenly click on the ad, thinking it to be another blog post or product. There’s a good chance that such people won’t return to your website, so it’s best to avoid In-feed ads altogether. There is a certain learning curve associated with using In-Feed ads effectively. While I don’t make much use of these ads, you can certainly go ahead and try them out if you want to. To create these ads, simply click on In-Feed ads in your dashboard under Ad Units. This will open up a page where you can customize your ad. I won’t go into much detail about creating In-Feed ads as I don’t use them myself. 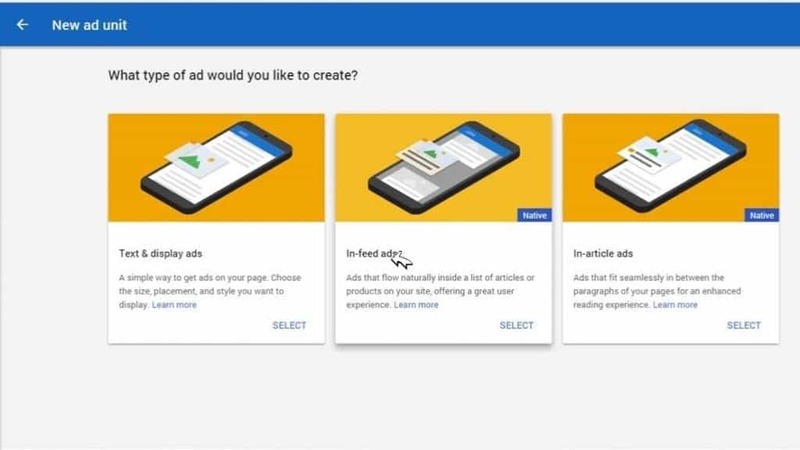 However, Google provides a support forum on how to create customized In-Feed ads where you can learn how to use these ads. Do note that In-Feed ads make use of certain plugins and they may not work with all WordPress themes. It is best to check the Google support forum before you try and create such an ad. Several websites make use of In-Article ads, and I also make use of them myself. Google has made the process of creating In-Article Ads very simple and easy. Just head over to In-Article ads in your AdSense dashboard under Ad Units. This will open up a new page where you can customize the ad style, title, description and background. Once you have customized your In-Article ad, click on Save and Get Code. Copy the code that AdSense creates and head over to your WordPress dashboard. Open up the blog post or webpage where you want to insert the ad into the dashboard under the Text Tab. Wherever you want to insert your ad, paste the code into the text. 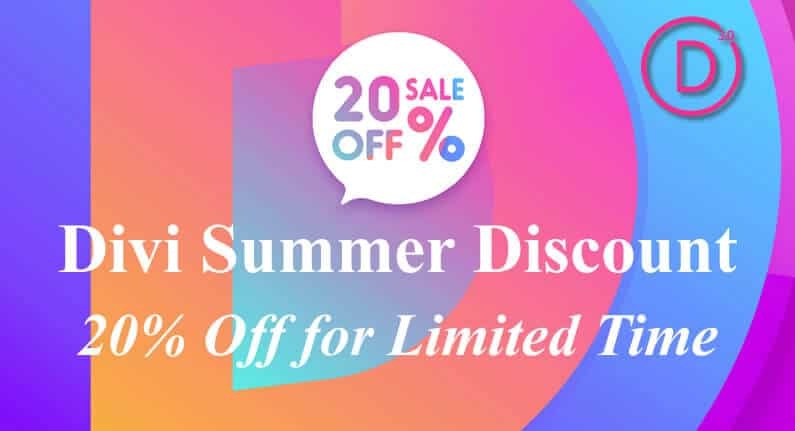 Make sure to add line spaces to separate your text from AdSense code. This will make things easier if you need to edit your webpage or blog post in the future. 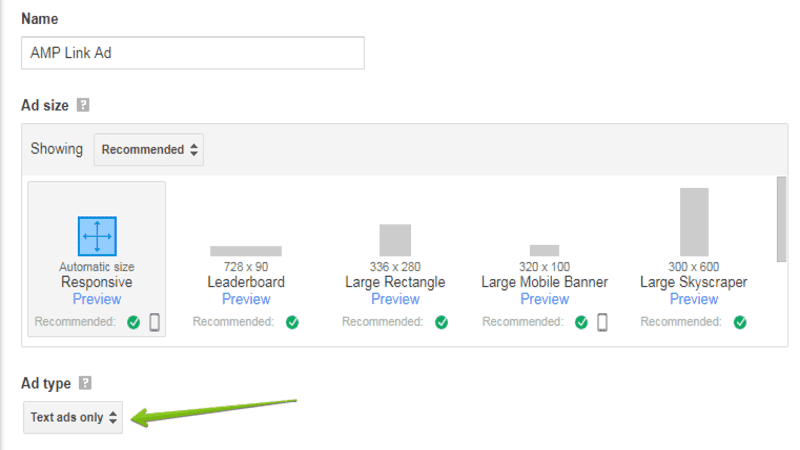 Google AdSense certainly makes it very easy for you to create ads on your WordPress website. However, I recommend you to be a little careful when you’re creating ads. By inserting too many ads into your website, you’ll make it look like a scam to your visitors. Also, with too many ads, there’s always a chance that a visitor mistakenly clicks on one of your ads. While you’ll still earn money this way, your visitors will not return to your website. In the long term, you will be the one to suffer. This is something you should avoid at all costs. Posting one or two ads here and there on a website is what I recommend you do. And, of course – make sure to customize your ads so that they don’t look like a scam. Remember – by keeping things simple, you will offer a better experience to your visitors, and you’ll give your website a chance to grow. 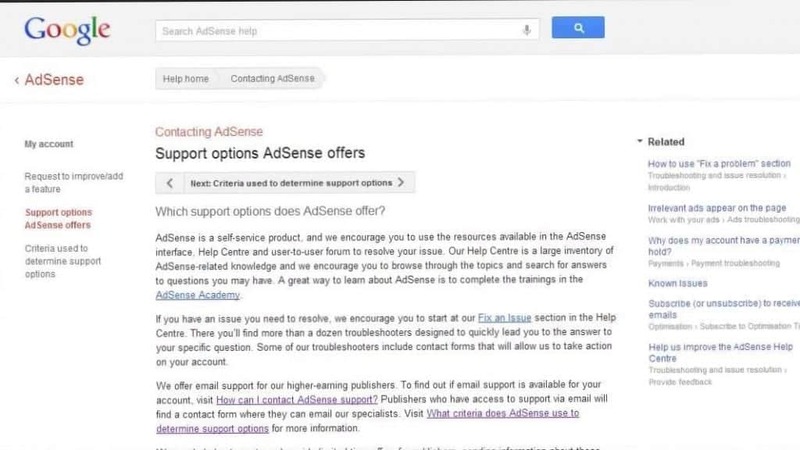 And, for more tips on support on how to use AdSense effectively, feel free to visit Google’s support forums. The AdSense community is incredibly active, and you’ll get most of your questions answered by the forum. There you have it! These are the exact steps you need to follow to setup Google AdSense on your WordPress website. Even if you’ve never used AdSense or any other ad network, it is fairly simple to setup AdSense on a website. If you’re a developer or you have good experience with WordPress, setting up AdSense will be a breeze. Even if you’re not, you can create an ad using AdSense in a matter of minutes – it’s that simple! 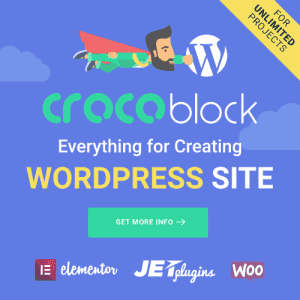 Do you already make use of an ad network to monetize your WordPress website? Or do you use methods other than advertisements to earn passive income from your website? Or maybe you’re already using AdSense, but you’re not sure if you’re using it effectively? Whatever doubts, queries or thoughts you have, do let me know in the comments section below. I’ll be more than happy to help you out with setting up Google AdSense effectively on your website! I have recently started blogging and I have not much of visitors. I am getting like 50-100 daily visits..
What do you recommend I should do? 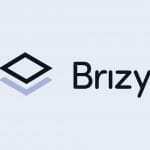 Wait to increase the traffic or start small? just keep blogging, the more content the better! Thanks for the in-depth Adsense guide, Darrel!